How you perceive and react to stressful events in life is more important to your health than how frequently you encounter stress, says a study. According to the researchers, the more negatively an individual reacts to a situation the more he/she may be at risk of developing heart disease. The team wanted to find out whether daily stress and heart rate variability — a measure of autonomic regulation of the heart — are linked. A potential pathway that links stress to future heart disease is a dysregulation of the autonomic nervous system — a case of a person’s normally self-regulated nervous system getting off track. “Higher heart rate variability is better for health as it reflects the capacity to respond to challenges,” said Nancy L Sin from Pennsylvania State University. “People with lower heart rate variability have a greater risk of cardiovascular disease and premature death,” Ms Sin added in the paper published in the journal Psychosomatic Medicine. Depression and major stressful events are known to be harmful for health, but less attention has been paid to the health consequences of frustrations and hassles in everyday life. The team analysed the data collected from 909 participants between the ages of 35 and 85, including daily telephone interviews over eight consecutive days and the results from an electro-cardiogram. 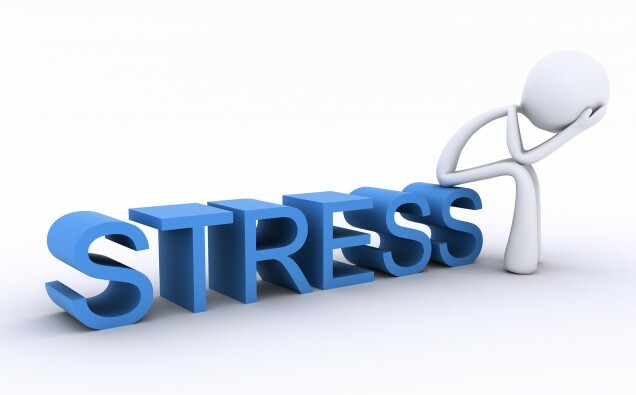 During daily phone interviews, participants were asked to report the stressful events as well as negative emotions they had experienced that day. The researchers found that participants who reported a lot of stressful events in their lives were not necessarily those who had lower heart rate variability. No matter how many or how few stressful events a person faces, it was those who perceived the events as more stressful or who experienced a greater spike in negative emotions had lower heart rate variability — meaning these people may be at a higher risk for heart disease, the authors noted.